“It’s a marvellous piece – and this one works!” said Bobby Livingston, of RR Auctions. The computer came with an Apple Cassette Interface, ASCII keyboard, Sanyo 4205 video monitor, and original manual. The identity of the seller, along with the buyer, has been kept quiet. The seller reportedly purchased the computer for a tiny $300, less than half the $666.66 selling price it commanded back in 1976. They later tried to sell it to Steve Wozniak, Apple’s co-founder, for $10,000. The Apple-1 was Apple’s first ever computer. It launched one year before the vastly superior Apple II. 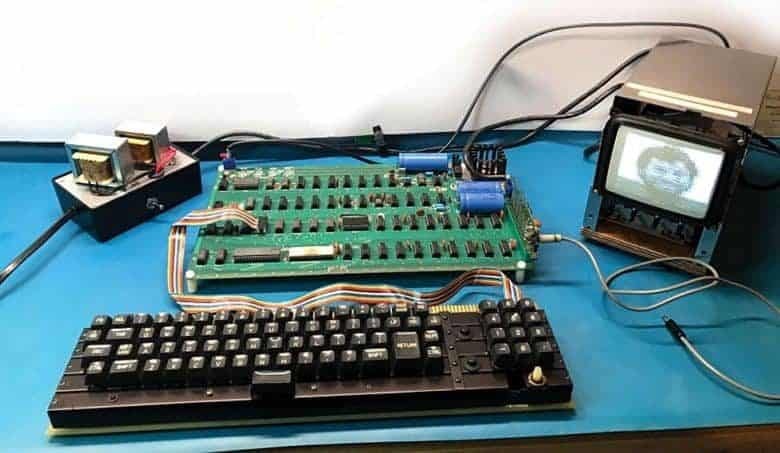 Apple co-founder Steve Wozniak started working on the Apple-1 as a hobby, with no ambition beyond showing it off to the people at the local Homebrew Computer Club, which he attended. Steve Jobs was the one who convinced Woz that they should sell the computers. He approached Paul Terrell, owner of the nearby Byte Shop, one of the first personal computer stores. Jobs sold Terrell on buying 50 Apple-1 computers for $500 each. Terrell then marked up the computers to $666.66, the equivalent of around $2,800 today. Over the last few years, a number of Apple-1 computers have gone up for auction. The most ever paid for one was $905,000 in 2014, when interest in Apple memorabilia was hitting a high point after the death of Steve Jobs.